Many states across the nation have enacted laws against using smart phones while driving. While some states prohibit only texting or using applications while driving, others prohibit making phone calls as well. 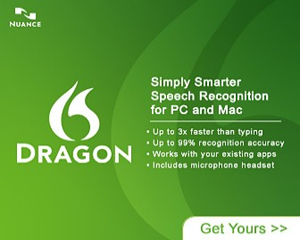 Dragon Dictation is a app that translates speech into text. The user simply talks into their phone or hands free device and their words then appear typed out on the screen. The app allows users to share the text in a variety of ways. It can easily be posted to social networking sites such as Twitter and Facebook as well as placed directly into a text message or email. While the app works fairly well, there are a few kinks in translating the spoken words into the correct type. Occasionally the application will substitute the wrong word, especially if one has a accent or speech impediment. It is important for users to double check the text before sending it to avoid errors.